A Handful of Dust is a speculative history of the 20th century, tracing a visual journey through the imagery of dust from aerial reconnaissance, wartime destruction, and natural disasters, to urban decay, domestic dirt, and forensics, via abstraction and conceptual art. 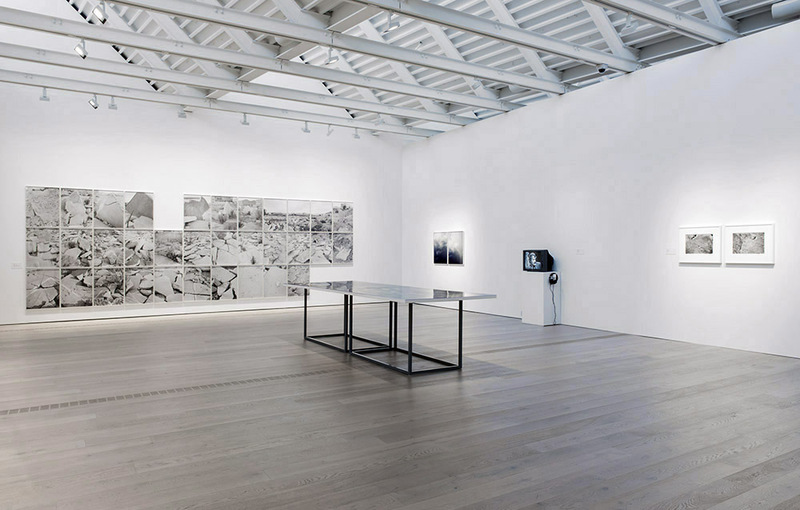 The exhibition features works by over 30 artists and photographers including John Divola, Marcel Duchamp, Walker Evans, Mona Kuhn, Man Ray, Gerhard Richter, Sophie Ristelhueber, Aaron Siskind, Shomei Tomatsu, Jeff Wall, and Nick Waplington alongside magazine spreads, press photos, postcards, and film clips. Curated by David Campany. This exhibition presents ten works produced by Xavier Ribas between 2003 and 2009, which make up his series Concrete Geographies. The exhibition format, designed by the author especially for this exhibition, refers to the figure of the 'contact sheet', a concept inherited from analogue photography, where by contact the negative strips are arranged on photosensitive paper, and thus create a view of each of the images contained in the entire film sequence. These ten enlarged 'contact sheets', to which the texts that are part of the works are incorporated, replace the exhibition pieces, as these are not the works themselves that are exhibited but a' echo 'of them in the form of documentation, or of cataloging. This arrangement allows the presentation of the complete Concrete Geographies series in the specific space of the gallery. MAST Foundation presents a new selection of works from its collection of photographs, video-installations, and photo-albums on industry and labour. A multifaceted reflection on the theme of speed characterising today’s society, the exhibition, which has the pendulum as its visual metaphor, illustrates the contrasting energies issued from two phenomena that dominate our present: on the one hand, the unbridled power of engines, an enormous increase in speed, means of transport transformed into the fetish of our times, permanent connection as an absolute necessity; and on the other, a slowing down, a sharp braking, a barrier to the flows of migrating people, the only limit to the myth of global mobility. Curated by Urs Stahel. This exhibition is the second public presentation of works from the collection Per Amor a l’Art. The exhibition brings together a selection of works, by many artists and from different times and countries, that offers an insight into the social construction of space, the ways in which we represent, reproduce, know or inhabit places. Curated by Nuria Enguita. This exhibition traces historical genealogy of the ways of situating oneself in the modern space, architecture and urbanism, developed between the middle of the 20th century and the present day. Our era has turned living into an administered manner of dwelling. This formula needs turning back to front to make living a political mode of dwelling in the world. Curated by Pedro G. Romero y María García. Published on the occasion of the exhibition Trafficking the Earth at the Museo de Arte Contemporáneo [MAC], Santiago, Chile, 08.09.2017 – 12.11.2017. This publication is a 'folded exhibition' specially produced to distribute free among Chilean environmental activists, pressure groups, lawyers and school teachers in mining communities. If you would like to receive one please let me know. This exhibition has two fundamental objectives. Firstly, it presents pieces that have become part of the Col·lecció Nacional de Fotografia de la Generalitat de Catalunya (National Photography Collection of the Government of Catalonia) over the past three years and that are currently preserved in several institutions: MNAC, MACBA, the Arxiu Fotogràfic de Barcelona (Photographic Archive of Barcelona) and the Arxiu Nacional de Catalunya (National Archive of Catalonia). On the other hand, it invites us to reflect on the experience that photography puts into play as a set of practices and languages that constitute a space in which everyone engages in different ways. Curated by Marta Dahó. Máquinas de vivir. Flamenco y arquitectura en la ocupación y desocupación de espacios es un proyecto en torno al diálogo a tres bandas entre la arquitectura radical, la crítica social y las representaciones flamencas. Curated by Pedro G. Romero y María García. IMBALANCE, Łaźnia Centre for Contemporary Art, Gdańsk, Poland. 09.2017 – TRAFFICKING THE EARTH, a Traces of Nitrate installation of 336 photographs and texts, is now part of the collection of Museo de la Solidaridad Salvador Allende, Chile. ACCROCHAGE # 3: FOOTNOTE No. 10. With contributions from more than 30 artists, ‘4.543 billion. The matter of matter’ is an exhibition that addresses works of art, collections and cultural histories in relation to ecological processes and a geological scale of time. 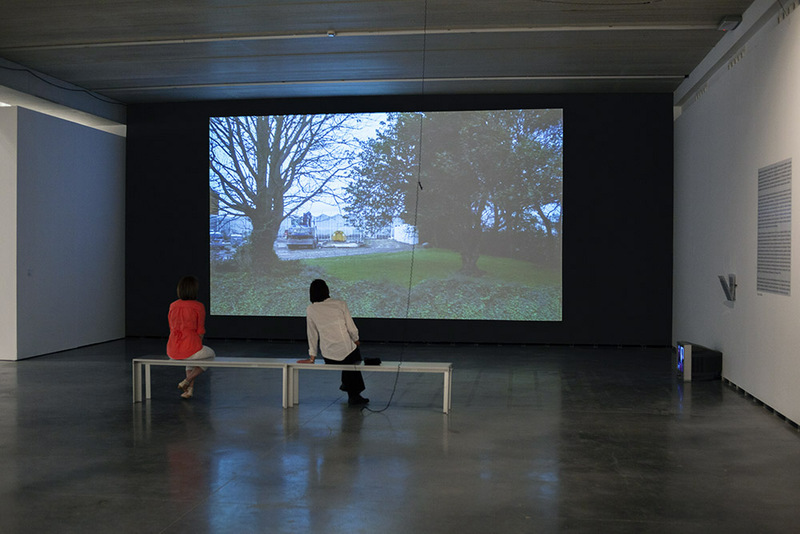 It presents a continuum of materials and temporal landscapes – films, works on paper, photographs, sculptures, documents, and other meaningful things – and springs from the CAPC building’s former life as a warehouse for colonial commodities whose limestone walls were once deep in the ground and whose wooden beams were once part of a forest. 06.2017 NEW BOOK – IT WOULD NEVER BE QUITE THE SAME AGAIN. Fundació Antoni Tàpies, Barcelona. Three editions of 100 copies each in three languages [English, Spanish and Catalan], signed and numbered. Artist book published on the occasion of the exhibition 1989. After the Conversations of Algiers. 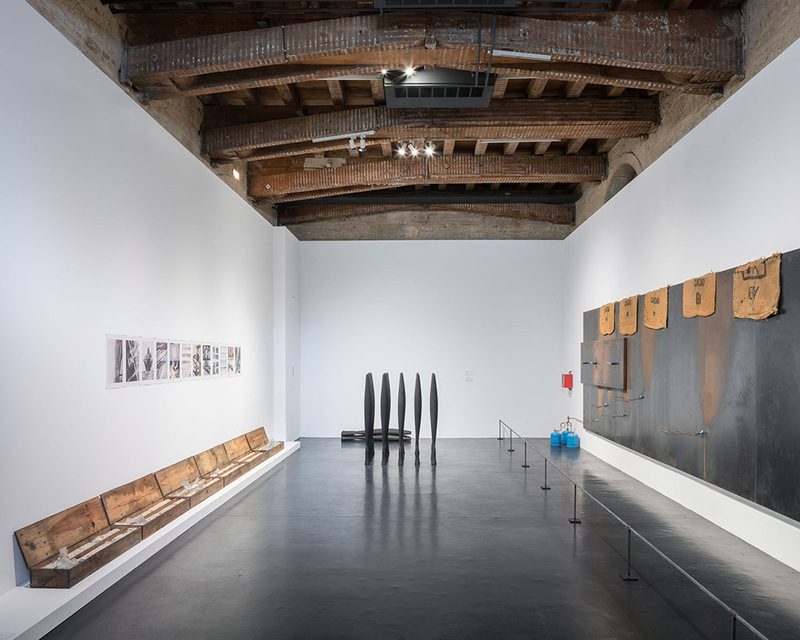 Delirium and Truce, curated by Carles Guerra, that took place at Artium, Vitoria-Gasteiz, from the 11th of August to the 16th of October 2016, and at the Fundació Antoni Tàpies, Barcelona, from the 11th of November 2016 to the 15th of January 2017. To download PDFs of the text go to the project's page in this website. 1989 After the Conversations of Algiers. Delirium and Truce is a case study exhibition within Pedro G. Romero's curatorial project 'Peace Treaty', organised as part of the Donosti 2016 European Capital of Culture. 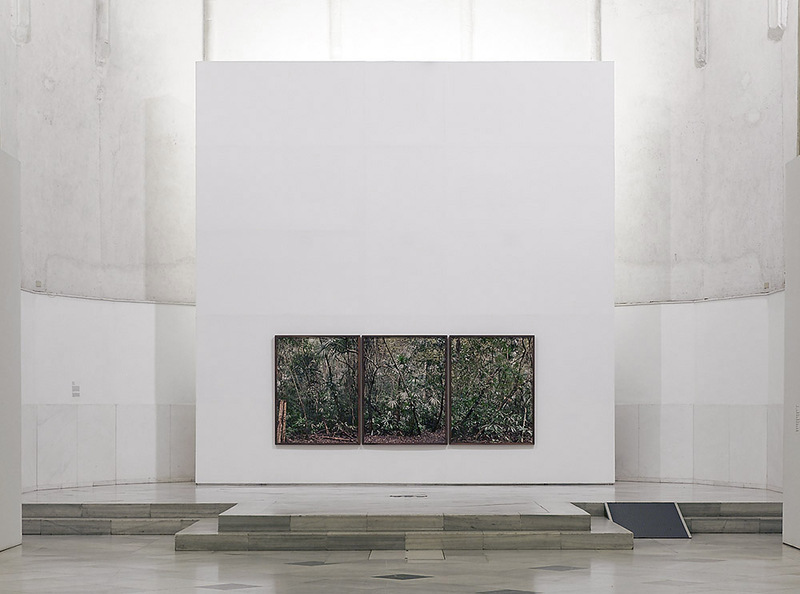 The exhibition is hosted by Artium in Vitoria-Gasteiz and by Fundació Antoni Tàpies in Barcelona. The “permanent ceasefire in armed violence” decreed by ETA in 2011 is the most recent and nearest example of the will to put an end to a period of history scarred by violence. Prior attempts to start a negotiated peace process, such as the Conversations of Algiers (1987-1989), which give this exhibition its title, did not conclude with any type of agreement. Despite all the meetings held between the Spanish government and ETA, peace has been repeatedly put off. Group exhibition exploring the iconographic photography of Barcelona’s urban development across one and a half centuries of history. The show follows the link between urban transformation – marked by the celebration of various major international events, from the 1888 World Fair to the 2004 Universal Forum of Cultures – and the historic role of photography in shaping public opinion and the general perception of the city throughout this period. It takes us from the emergence of multiple forms of photography technology in the 1850s to the explosion of digital technologies, the Internet, mobile telephony and social media at the turn of the 21st century. 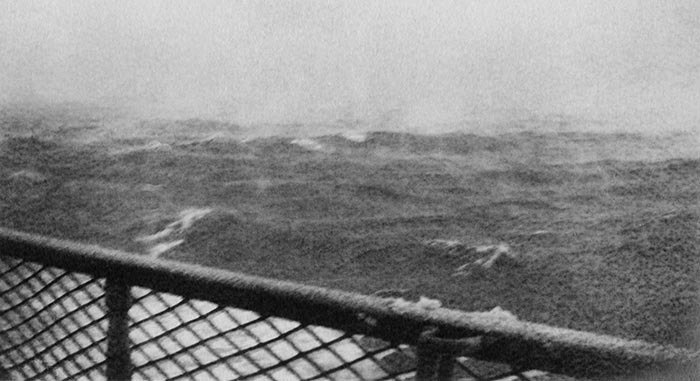 07.2015 – NITRATE project joins WORLD OF MATTER, a multimedia project providing an open access archive on the global ecologies of resource exploitation and circulation. Private view 10th April 2015 at the Bluecoat, Liverpool. Pablo Artaza, mabel Loomis Todd, and Alberto Martín. This is the first solo exhibition by Xavier Ribas (Barcelona, 1960) to bring together a substantial body of work made by the photographer over the last decade. The exhibition takes its title from his latest investigative project into nitrate extraction. The system of colonial exploitation led by British companies in the Chilean Atacama Desert is a case study whose geographical and historical scope is held to question by Ribas’s photographic practice. This ambitious study, produced between 2009 and 2014, is presented here for the first time along with a selection of his earlier works. 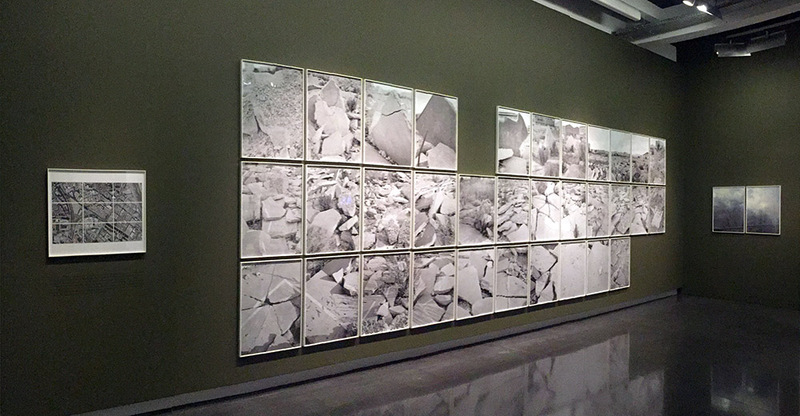 The first part of the exhibition – which prefaces the section dedicated specifically to Nitrate – includes four photographs from the Sanctuary series, 2002, and eight series from the most extensive group of works in the artist’s career, Concrete Geographies, 2002–9. Exhibition curated by Carles Guerra. 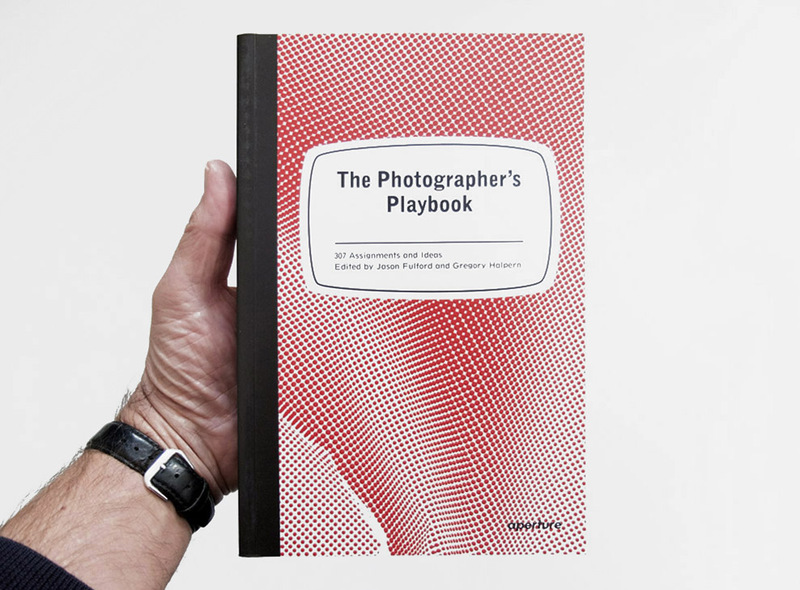 "The Photographer’s Playbook features photography assignments, as well as ideas, stories, and anecdotes from many of the world’s most talented photographers and photography professionals." La muestra Vestigios invisibles presenta los trabajos fotográficos de Mark Adams, Ana Teresa Ortega, Xavier Ribas, Ann Shelton y Vicente Tirado que son registros de unos territorios en donde acometieron acontecimientos de los cuales no quedan vestigios visibles que la fotografía pueda retratar. Estas fotografías ofrecen una reflexión sobre la representación del paisaje y su memoria. The Museu d’Art Contemporani de Barcelona (MACBA) and ”la Caixa” Foundation present for the first time in the city an unconventional story written with the art of today that questions the different episodes of agreements and disagreements between modernity and the avant-garde. While avant-garde and modernity have influenced and altered the conscience of the city since the late nineteenth century to the present, ART, TWO POINTS follows these tensions by confronting works and documents from the past with contemporary creations and new visual languages. The idea of landscape experiences a copernican revolution with the Oscar Wilde essay “The Decay of Lying”, published in 1891. It contains a very famous sentence: “Life imitates art far more than Art imitates life”, according to Alain Roger, one of the key contemporary thinkers on the subject, it represents a founding moment for a new interpretation of landscape as a cultural construction. An international group exhibition that explores ideas of cultivation with particular reference to Georges Bataille's writings on the Lascaux caves. Artists include: Fabienne Audeoud, Fleur van Dodewaard, Christian Jankowski, Bea McMahon, Kaspar Oppen Samuelsen, Ria Pacquée, Xavier Ribas, Florian Roithmayr, John Russell, Allan Sekula, Morten Torgersrud, Francis Upritchard, Anne de Vries. Concreta 01 recoge una serie de ensayos, conversaciones y proyectos que se aproximan a la idea de desplazamiento entendido no solo como traslación, movimiento u oscilación, sino como posicionamiento estético y político en la práctica artística contemporánea que investiga el territorio como lugar de lo común y espacio de diálogo, pero también como lugar de confrontación. "Ribas's intimate exploration — of the rubble, monoliths and sharp edges found at an abandoned industrial site, where the once smooth concrete surface has been violently destroyed in order to prevent the sixty Gypsy families that once lived there from returning — is a sad but striking (and beautifully photographed) testament to displacement and discrimination, subtly discovered by Ribas within the shapes and forms of an easily overlooked contemporary landscape." Aaron Schuman. As a response to their lack of visibility, these photographs intend to be statements towards a political cartography of the border fences of Ceuta and Melilla as the very edge of Europe. These two border fences are, perhaps, the contemporary public works that can best define, like monuments to inequality, the European landscape of the 21st century. Page size_ 20 x 16,5 cm. Greenhouse (2007), double channel HDV installation, sound, text. 23 min, looped. Lugares en pérdida permite iniciar un viaje que revisa los sueños utópicos de urbanismos idealizados y aborda las derivas de los escenarios naturales domesticados. Y lo hace a través de la visión de Adrian Paci, Aleksandra Mir, Aleksander Komarov, Beate Gütschow, Caio Reisewitz, Carlos Garaicoa, David Maljkovic, Ibon Aranberri, Ignasi Aballí, Jeremiah Day, Jonathan Hernández, Jorge Macchi, Lara Almarcegui, Lynne Cohen, Marine Hugonnier, Mireya Masó, Patricia Dauder, Paulo Catrica, Raimond Chaves y Gilda Mantilla, Tacita Dean, Xavier Ribas, María Bleda y José María Rosa, y Carlos Irijalba. Una nueva topografía en la que las experiencias, vestigios, posesiones, conjeturas y fracasos componen unos escenarios donde, a menudo, no se distingue lo interno de lo externo, la identidad y el poder, la realidad y la narración y donde el pasado resuena en el futuro. En palabras, de Teresa Blanch, "los lugares han devenido asuntos socio-políticos y bio-políticos, enredados en la trama de sus propias arqueologías e ideologías, que los artistas ponen en revisión." TOPOGRAFIAS DE LA MEMORIA. Fotografías de la Colección Ordóñez-Falcón. Topografías de la Memoria nos acerca a obras de referencia de algunos de los más destacados fotógrafos y artistas visuales, aquellos que con su mirada, han establecido las bases conceptuales de la fotografía contemporánea y de la vídeo-creación. El relato, el itinerario visual, la superposición de geografías tanto personales como públicas, etc. delimitan los contornos de los diversos escenarios de la memoria. Pese a lo breve del período aquí recogido, en su mayoría obras producidas en los últimos 30 años, y de estar enmarcadas dentro de lo que constituye el corpus de una colección, sorprende encontrarse en esta muestra colectiva con buena parte de las tendencias y prácticas discursivas que han marcado en el devenir de la creación artística actual. The Inverted Mirror presents both Barcelona-based collections together outside of their respective venues for the first time. This survey of art from the late 1940s to the present includes painting, sculpture, photography, and video and is organized into six thematic sections: Dau Al Set and El Paso Group; Function and Reenactment in Photography: Landschaft; Function and Reenactment in Photography: The Self and the Other; The Limits of Performance; The Inverted Mirror; and Levity, Gravity, and Other Impossibilities. Habitus (2007), 67 C-Type prints size 35 x 43 cm. Volume! proposes an interpretation of the transition from the 20th to the 21st century based on a paradigm shift in the art in terms of materials, sensory aspects and programme. Questioning the clichés that identify the 80s with the supremacy of painting, the exhibition places the pre-eminence of sculpture and photography at the centre of change at the turn of the new century. Shown alongside these three acquisitions is a selection of works from the collection in which artists construct, analyze and idealize nature and landscape. Cultured Nature traces the development of this theme from the 1970s to the present day. Included are Gilbert & George (who often picture themselves against the backdrop of the English landscape), as well as Adam Bartos, Ania Bien, Jan Dibbets, Richard Long and Robert Smithson. A section of the exhibition also highlights contemporary photography by Wout Berger, Jitka Hanzlová, Torbjørn Rødland, Johannes Schwartz and Wolfgang Tillmans. Nomads (2008), 35 pigment prints size 59 x 75.5 cm, Google Earth composite, text. With projects from Dakar, Barcelona, Shanghai, Dresden, California and London, This Must Be the Place, part of the Jerwood Encounters series, highlights the importance of location for today’s photography. As art reinvents itself as a context for experimental documentary practices, David Campanyi has brought together an international range of artistsii making work in a variety of forms: digital slideshows, films, composites, artists’ books, installation, photographic sequences, image/text and imagery derived from the internet. 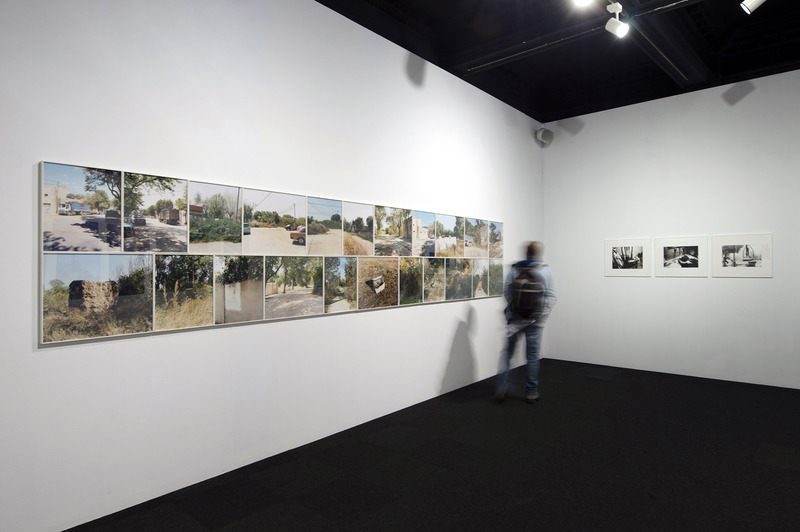 Whether surveying a city for its specific character, unearthing a hidden past, speculating on the future, or looking at the effects of globalization on particular sites, This Must Be the Place is a timely assessment of how we understand locality, and a suggestive indication of the place of photography in contemporary art. Featuring works by: Camille Fallet, Mimi Mollica, Xavier Ribas, Eva Stenram, Lillian Wilkie, Tereza Zelenkova and David Campany. MMDCCLXI A.V.C (2008) 3 C-Type prints size 121 x 155 cm each (triptych), text. LC (2002-2003), 22 C-Type prints sizes 47x39 cm and 47x57 cm. 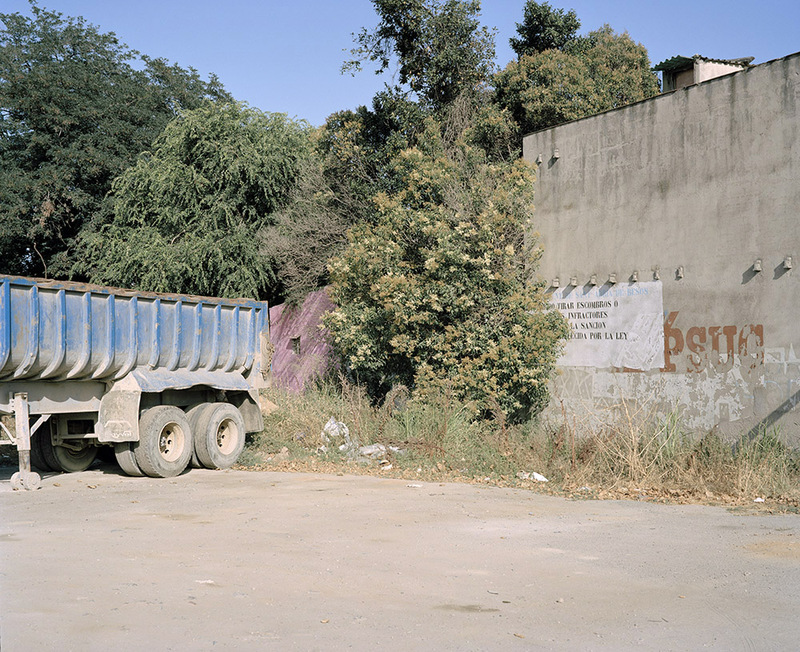 Xavier Ribas documented the state of La Catalana neighbourhood over the course of 2002 and 2003. Urban decay and the systematic abandonment of public services had turned the area into a semi-functioning ruin. The twenty-two photographs that form his LC series show a devastated territory in its death throes. The exhibition is accompanied by historical documentation, videos and maps. Ceuta Border Fence (2009), 26 C-Type prints size 71 x 89 cm. La exposición Profecías, un proyecto del Fondo Fotográfico de la Universidad de Navarra, es un diálogo entre el origen y el presente de la fotografía. La muestra incluye un centenar de fotografías del siglo XIX -obras maestras de la fotografía española-, y los desarrollos fotográficos de 13 autores contemporáneos que han creado nuevas obras a partir de una revisión de estas piezas. Joan Fontcuberta, Roland Fischer, Bleda & Rosa, Lynne Cohen, Sergio Belinchón, Xavier Ribas, Jordi Bernadó, o Gabriele Basilíco son algunos de los autores que han construido su propio diálogo con la fotografía del siglo XIX, escogiendo para ello álbumes, autores o temas presentes en la colección histórica del Fondo Fotográfico, y subrayando en numerosas ocasiones el carácter profético o anticipador de los pioneros de la fotografía. A solo exhibition by Catalan photographer Xavier Ribas, held jointly at Belfast Exposed and PLACE. The exhibition focuses on recent work presented in grid format and draws on Ribas’ longstanding interest in urban structure, archaeology and anthropology. The exhibition is presented in the context of Belfast Exposed’s ongoing examination of the city through archive and gallery projects, which explore social and political currents in ‘post conflict’ Belfast and the complex relationships between past and present, inscribed on public, private and commercial spaces. Thresholds (2001-2002) 8 C-Type prints size 81 x 106 cm. Strange Places brings together 11 international contemporary artists who propose an alternative mapping of the globalized urban condition. Whether gazing at ambiguous thresholds on the edges of the city, or tracing liminal spaces in its centre, these photographs explore themes of place, identity, boundaries and the uneasy encounter between land and built environment. The images do not capture urban life as action, but meditate on the spaces where it unfolds. What arises from this observation of traces and aftermath is a poetic quality hinting at the potential beauty of the most unlikely places. Nature As Artifice places a new image of the Dutch landscape over and against the old ̂‘DutchDuyt Dutch landscape that is familiar chiefly from 17th century Dutch painting. Nature As Artifice stimulates the formation of a new mental image of a landscape which has changed radically in its function over the last century, and has thus also altered in its appearance. The Netherlands boasts excellent landscape photographers who have thoroughly and competently examined the landscape over the last three decades, visualising it in an inspired manner in photography (and an occasional video work). They have in common their interest in the changing ways that the Dutch shape and use their landscape, coupled with a new manner of photographing and filming. Nature As Artifice is the first survey of their work, in the form of an exhibition and a book, both the result of extensive research. This research was financed in part by a research grant from the Netherlands Foundation for Visual Arts, Design and Architecture (Fonds BKVB). The exhibition features a presentation of the priority lines of interest and research at the MACBA in this new stage, initiated in 2008. While over recent years the Collection has started to gather together documents that function as works of art (Grup de Treball, Tucumán Arde (Tucuman is Burning), works by collectives of artists and activists and so on), this has not implied forgoing the collection of great works by significant artists of our time. Alongside the abundance of fragments, it is important to consolidate nuclei of singular and complementary works that can express discourses on the nature of artistic creation and the historical moment in which we live. The MACBA is ideally placed to build a collection which explains the passing from the 20th to the 21st century, which begins with formulations of the final utopias of the last century and speaks of its crises, and then follows the present century, with its complexities and contradictions. Mud (2006) 30 C-Type prints 50 x 60 cm. No es la primera vez que nos topamos con el concepto de archivo y documento como espina dorsal de un proyecto expositivo, en tanto que referencian historia, memoria, pasado, consolidan presente y catapultan futuro. Aunque sí nos encontramos con una orquestación diferente siguiendo el discurso del propio proyecto de La Sombra de la historia. Los contextos que vienen, el proyecto que completa la trilogía (consecutiva en años desde 2006) del Proxecto-Edición que podemos ver en el Centro Gallego de Arte Contemporáneo estos primeros meses del año. Se reflexiona también sobre la manipulación del archivo y la construcción de realidad, sobre la autoría, la veracidad y crédito totalitarista de imágenes que nuestro ojo obliga a nuestro cerebro a creer, el almacenamiento y la difusión de documentos, la edición de los mismos o el exceso no sólo cuantitativo, sino cualitativo. Invisible Structures (2006-2008) 19 C-Type prints size 120 x 155 cm. Invisible is everything that is not perceptible through sight. Invisible also refers to what is imperceptible to our way of looking. Therefore a dual condition of invisibility emerges: that which has to do with sight, the physical incapacity to perceive some of the rays of the electromagnetic spectrum, and that which has to do with our way of looking, how our conceptual, cultural, psychological and personal baggage impedes us from seeing certain things. The works that make up this exhibition move between these two extremes. How does landscape relate to land? Do they refer to the same thing? How can representations of the land or the countryside carry positive and/or negative implications? Juxtaposing 19th and early 20th century paintings with contemporary art, the exhibition Beyond the country examines different ideas of the land and presents new ways of approaching its visual codes. Curated by René Zechlin and Matt Packer.